The largest concentration of job cuts in this monthly cycle encompasses approximately 750 layoffs announced by Lutheran Social Services of Illinois (LSSI). The faith-based nonprofit expects to shut down 40 separate programs and let go approximately 43 percent of its staff. Nursing homes, nursing care facilities, senior day care centers, mental health counseling facilities and a wide variety of social-work facilities are affected by the announcement. LSSI states that their operations are being severely affected by declining reimbursements from the State of Illinois. 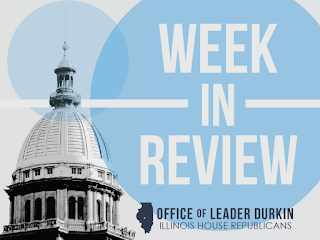 Illinois has been trying to operate without a budget since July 1, 2015, and is now in its eighth month without a budget. Economists continue find more people leaving Illinois than coming in. In the most recent data released by U-Haul, Illinois ranks 50th in terms of the surplus of cargo vehicles moving out over cargo vehicles moving in. U-Haul’s numbers closely align to numbers released this week by moving-van service provider Atlas Van Lines, which placed Illinois 48th of the 50 states. The numbers released this week by U-Haul and Atlas van Lines were anticipated in January 2016 by United Van Lines, which released numbers earlier this year that also placed Illinois 48th of the 50 states in terms of household cargo departures and arrivals. The stagnant Illinois job picture is treated as much of the cause for this phenomenon. Net migrations affect working families because of the wide variety of Illinois professionalism and areas of workplace expertise, including medicine, accounting, retailing and many other professions and crafts, whose members cannot survive and thrive unless they have a supply of potential customers. Net cargo-space departures tracked by U-Haul in 2015 appear to be concentrated in Downstate Illinois. In sharp contrast to Downstate, the equipment lessor states that Chicago is “the No. 5 growth city” it is tracking nationwide, close in status to red-hot destinations such as northern California (Concord, Roseville, Sacramento) and central Texas (Austin, College Station). U-Haul’s competitor Penske Truck Rental has also stated that Chicago is an attractive moving destination at this time. President Obama backs redistricting reform in address to General Assembly. President Barack Obama addressed a special joint session of the Illinois General Assembly this week. Along with general remarks in favor of political comity and in support of the White House’s agenda in Washington, the President spoke in favor of action of a specific reform on Springfield’s agenda this year: legislative remapping. Calling for reform in the way legislative maps are drawn, Obama criticized unnamed districts that are drawn to look like “earmuffs” or “spaghetti.” These maps and their oddly-shaped districts are factors of strategic importance in the elections of new members of Illinois legislative districts and members of Congress. Governor Bruce Rauner has strongly supported legislative redistricting reform. An increasing number of reformers are calling for this key task to be moved from partisan politicians to a nonpartisan commission. Illinois must be re-mapped after each decennial U.S. census. The next remap cycle sis scheduled to be held in 2021. Citing the lack of a State budget, Eastern Illinois University (EIU) has warned 198 civil service employees that they face layoff. The announcement by EIU President David Glassman was made on Monday, February 8. President Glassman also warned that starting in March, other EIU workers will be required to take one furlough day per week until June 30 or further notice, whichever comes first. 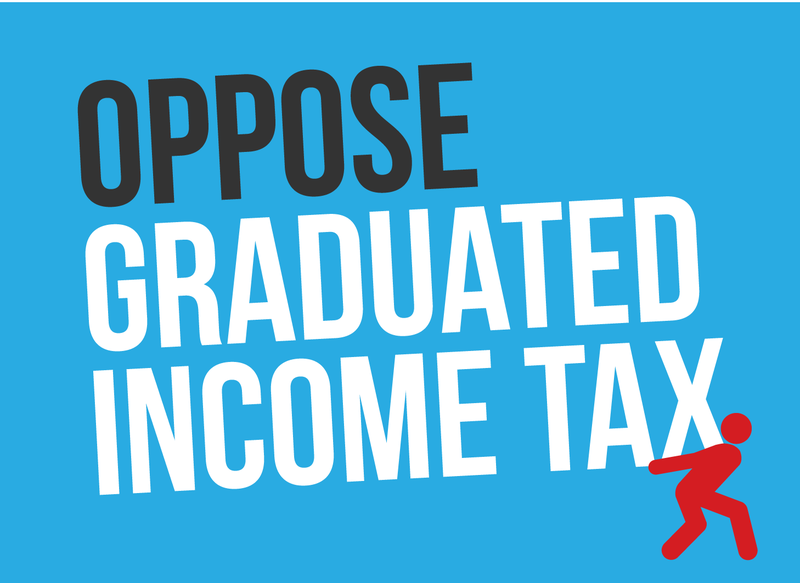 The Charleston-based Eastern Illinois University, like other State universities, has been affected by the current FY16 budget impasse. State operating funds for higher education have been delayed, and the tuition payments and fees paid by students do not cover the full operating costs of a State university. Universities other than EIU have notified the Illinois General Assembly that they may soon be forced to make announcements similar to the one set forth here. Governor applauds bipartisan local government consolidation legislation. Governor Bruce Rauner joined Lt. Governor Sanguinetti, legislative leaders and local elected officials last week to announce four bipartisan pieces of legislation to streamline local government delivering more control to local communities. 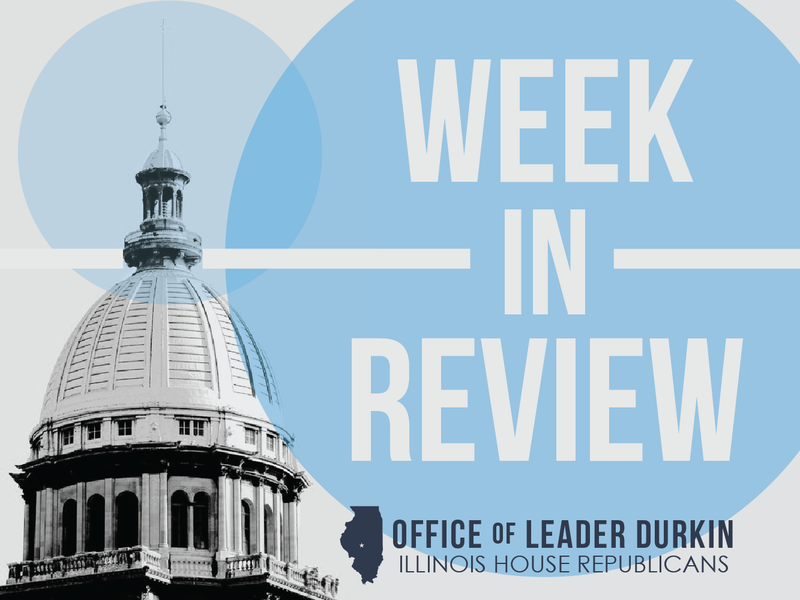 "These bills will reduce costs and improve efficiency, and that will help taxpayers across Illinois,” said Rep. Tom Demmer, a House Republican member of the Task Force. For more information on the proposed legislation, please visit The Caucus Blog. House GOP, Rauner Administration work to reopen shuttered State Museum. As part of budget cutbacks, the Illinois State Museum closed in September 2016. The State Museum, located in Springfield just south of the State Capitol, was a traditional show place for school groups from throughout Illinois, as well as for individual tourists and families interested in Illinois history and culture. Representatives Tim Butler and Sara Wojcicki Jimenez of Springfield are working with the Rauner Administration to reopen the Museum. Governor Rauner’s amendatory veto of SB 317 could create a pathway to reopen the popular landmark. Under the Governor’s policy amendatory veto message, the State Museum will be green-lighted to develop a new operating plan under which the Museum could resume operations. The proposed new operating plan will include the State Museum’s first-ever admission fee for visitors, and will rely upon increased help from volunteer aides and private-sector donors/friends of the Museum. Friends of the Illinois State Museum hope that the effort can also be used to reopen two subsidiary Museum facilities: Dickson Mounds near Lewistown, a facility oriented toward the story of Illinois River Native Americans, and an art gallery by the banks of the Illinois and Michigan Canal in suburban Lockport, Illinois. IDOT and Amtrak sign renewal of agreement for passenger train service. The short-term renewal covers “Illinois Service” passenger trains that operate with the support of both Amtrak and the Illinois Department of Transportation (IDOT). Trains covered by this agreement operate from a hub, Union Station in Chicago, to locations throughout Illinois. 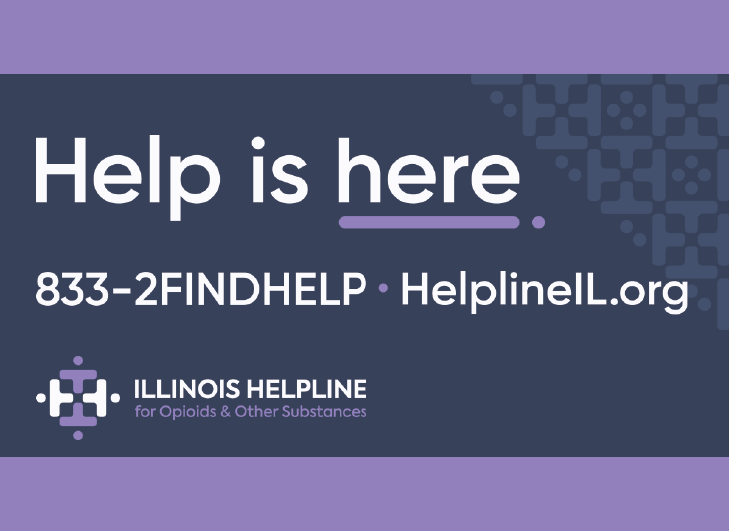 Locations served by partnership routes include cities such as Bloomington-Normal, Carbondale, Champaign-Urbana, Galesburg, Quincy, St. Louis, and Springfield. More than two million passenger tickets a year are purchased on these partnership routes. Under the renewed agreement, Illinois will continue to pay money to Amtrak and Amtrak will continue to operate partnership routes under the current schedule until the close of FY16. The Department of Transportation will pay $3.7 million less in FY16 than was transferred to Amtrak in FY15 and previous years, a saving to Illinois taxpayers reflecting the effects of negotiations carried out by the Rauner Administration with Amtrak. The Amtrak-IDOT agreement was announced on Friday, February 5. This is a short-term pact for both parties; a separate agreement, if one can be reached, will be required to continue Amtrak-IDOT cooperation in FY17 starting July 1, 2016. New O’Hare gate construction will build out gate space for American Airlines. By agreement between the Chicago Department of Aviation and American Airlines, the planning process will begin for the construction of five new gates at O’Hare International Airport to handle American’s worldwide flight operations. Under the terms of the agreement, Chicago-area general funds tax revenues will not be required to build the new takeoff-and-landing gates. In return, however, for the use of airline revenue and tied passenger-ticket service fee revenue for the new construction, O’Hare management will agree to allocate these new gates to American Airlines and to no other airline. American Airlines, which flies out of O’Hare Airport in competition with key rival United, uses O’Hare as a global hub. Frequent AA flights take off from O’Hare to American’s other hub cities, including Charlotte, North Carolina; Dallas; Los Angeles; Miami; New York City; Philadelphia; Phoenix; and Washington, D.C/Reagan National. Increased consumer demand for services to and from O’Hare, acclaimed as one of the world’s busiest airports, was credited for the gate announcement. 3-P window opens: could reduce congestion on I-55, Stevenson Expressway. The announcement by Governor Rauner of a 3-P process to add at least two additional new highway lanes to Interstate 55 in the Chicago area, including the portion designated as the Stevenson Expressway, offers potential hope to motorists caught in traffic on the busy Chicago-area highway. Interstate 55, which is now lined with warehouses and light-industrial facilities from Chicago as far south as Braidwood, Illinois, is currently operating far above its design capacity. Approximately 170,000 motor vehicles use a heavily-trafficked 25-mile-long segment of I-55 highway daily. With conventional tax revenues falling far short of the monies necessary to build and maintain additional I-55 traffic lanes, the opening of a planning process for 3-P lanes could un-jam the process of unsnarling the often-congested highway. The announcement is preliminary in nature and does not specify a path forward. In jurisdictions that have gone the 3-P route to build new urban traffic lanes, electronic toll payments are generally levied upon moving traffic. Owners of the vehicle can then be charged a fee for use of the 3-P lane or lanes. The newly-built lanes often enjoy faster-moving traffic than the conventional lanes, giving fee-payers an incentive to use the lanes.